Java in Indonesia is a beautiful island filled with locations still undiscovered by tourism. Java is over 20 times larger than Bali. It is fairly easy to get around Java. 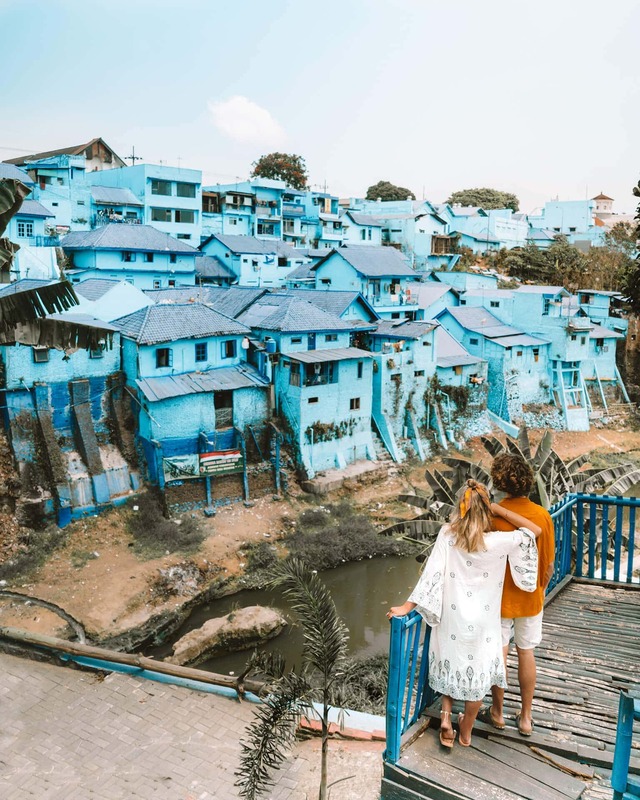 In this 8-day Central and East Java route guide you will visit the most impressive waterfalls, temples, the rainbow, and blue village, tea plantations, Mount. Bromo and the Ijen Crater. 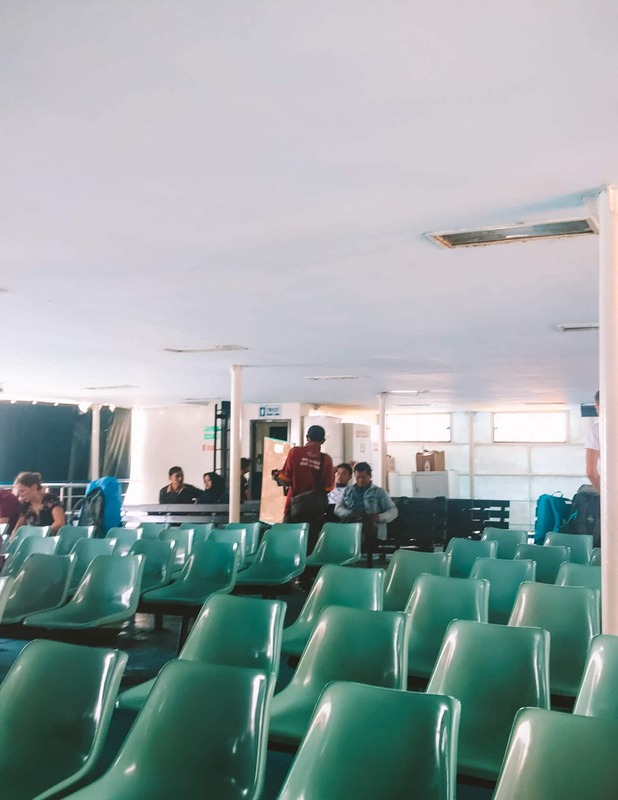 Java is just a 1-hour flight from Bali and can easily be combined with a route through Bali. The Javanese locals are one of the friendliest in Indonesia. All super interested in where you are from and always wanting to score a selfie with you. 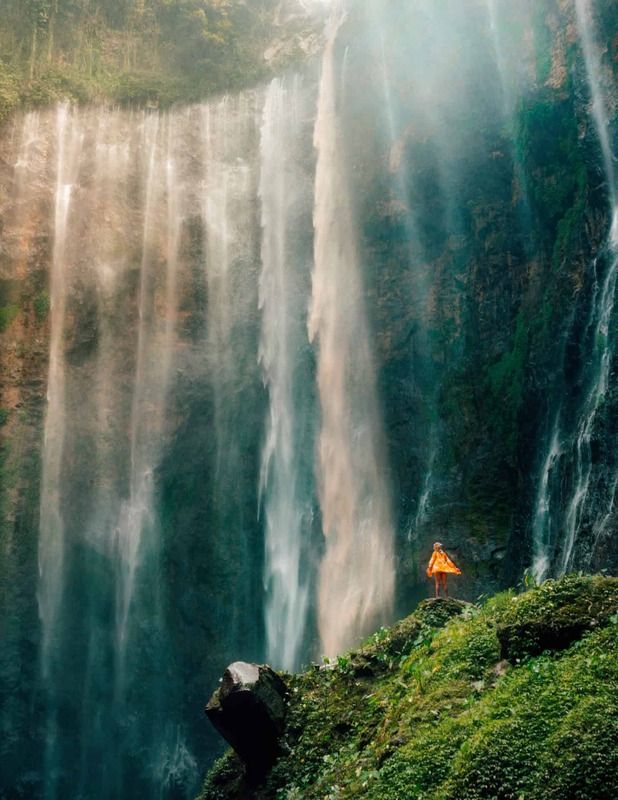 Java has one of the most beautiful waterfalls in Indonesia and the largest Hindu complex of Indonesia is located in Yogyakarta. 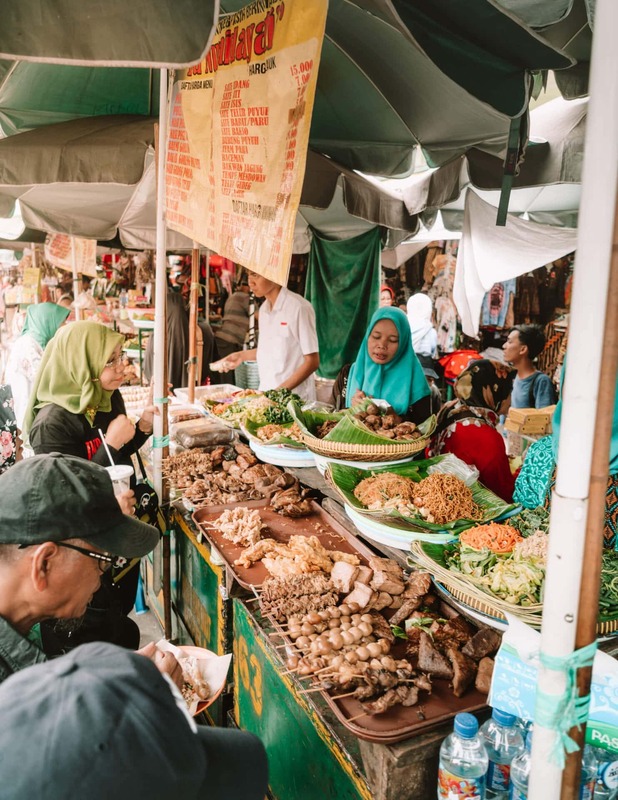 Every chapter of this 8-day Central and East Java route includes a link with more information about that specific subject. 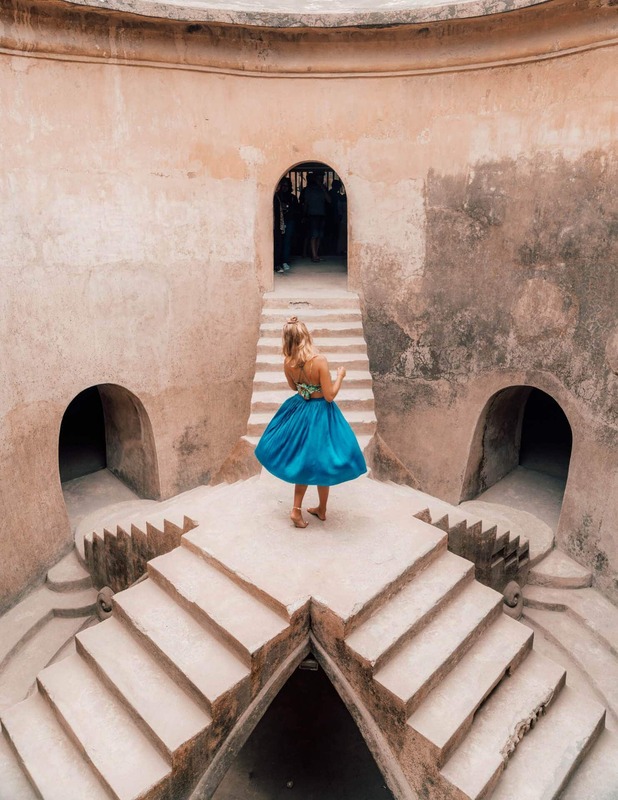 The creative capital Yogyakarta in central Java is the start of your Java route. This relatively small city is popular amongst Indonesian and international students. 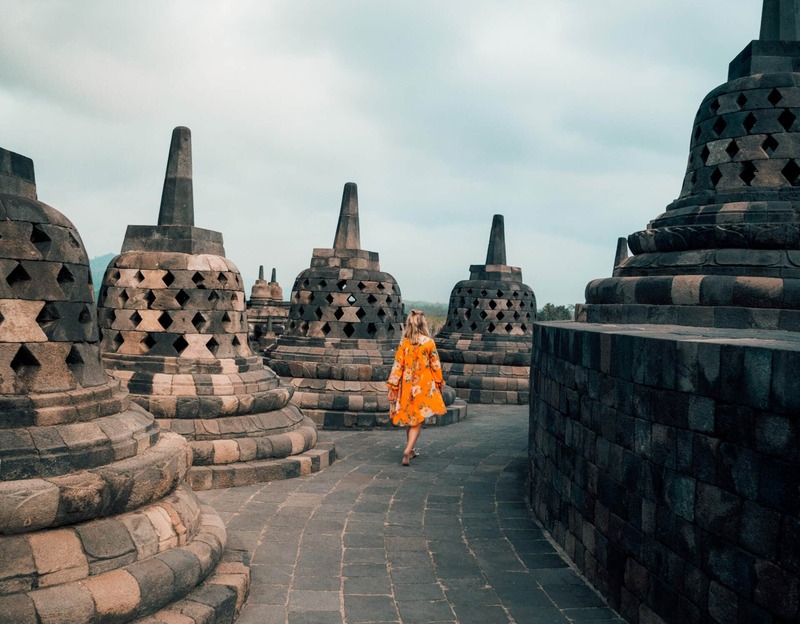 Prambanan and Borobudur are the highlights of Yogyakarta but there is so much more to do in this area. 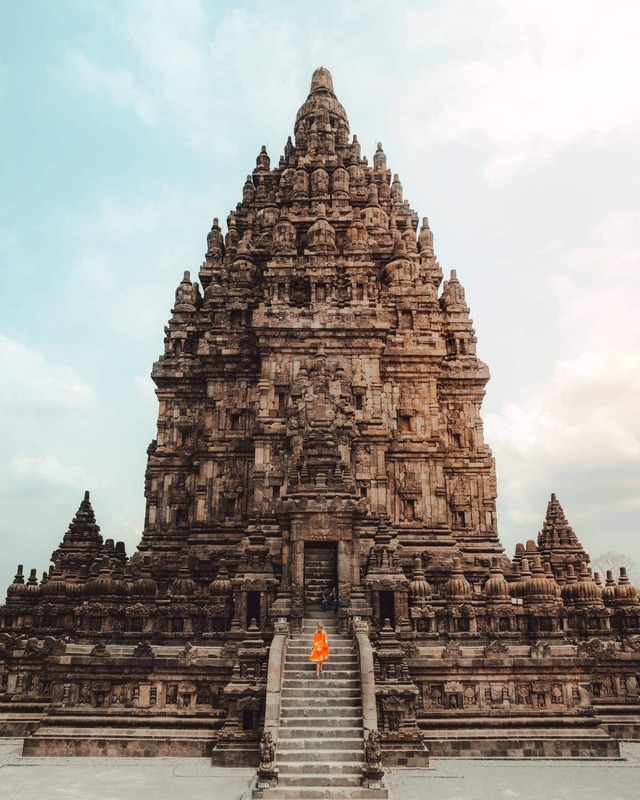 Yogyakarta has an international airport and is easy to reach from Singapore or Bali. 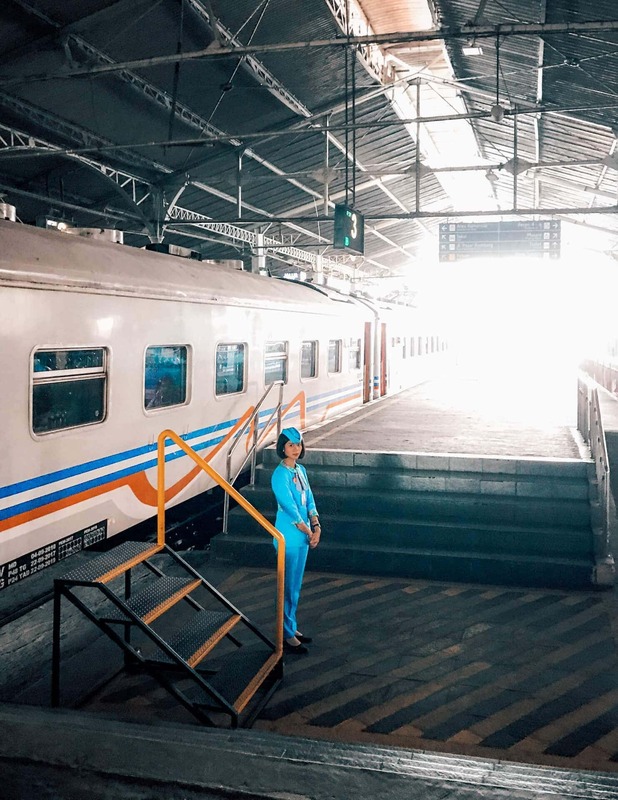 In the morning, head to Tugu Station in Yogyakarta. Hop on the train at 7:45 AM towards Malang. 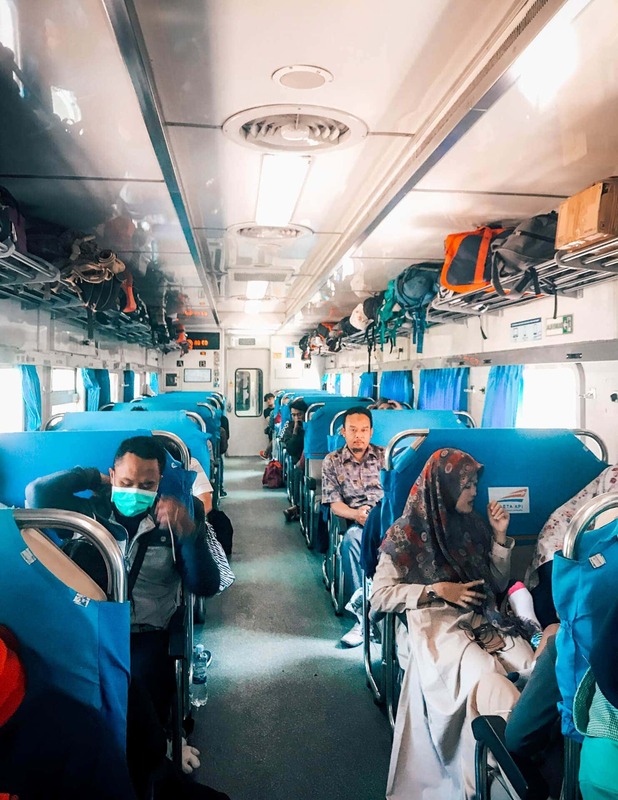 The Malioboro Express train takes 8 hours and is definitely one of the more comfortable train rides in Asia. 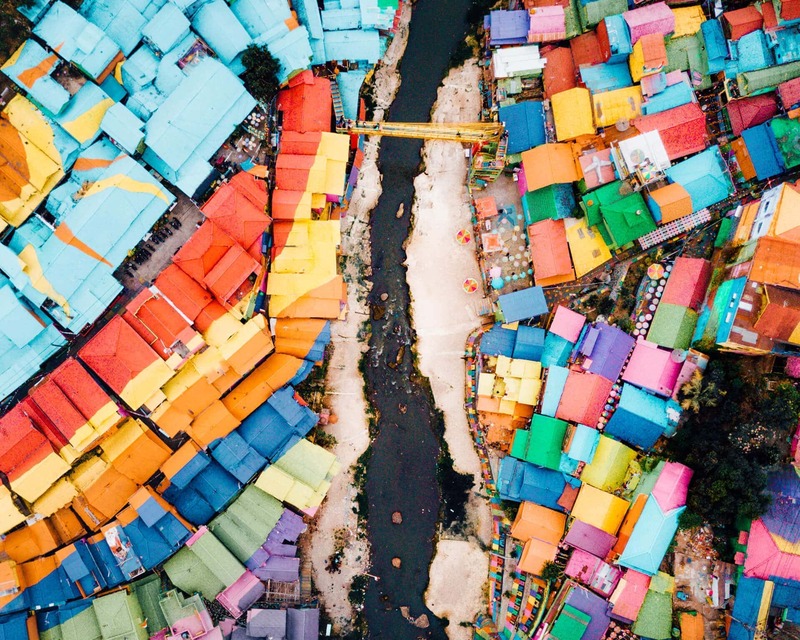 Take the rest of the day to rest or explore the rainbow village Jodipan. Malang is in the higher part of East-Java and much more comfortable climate than in Yogyakarta. 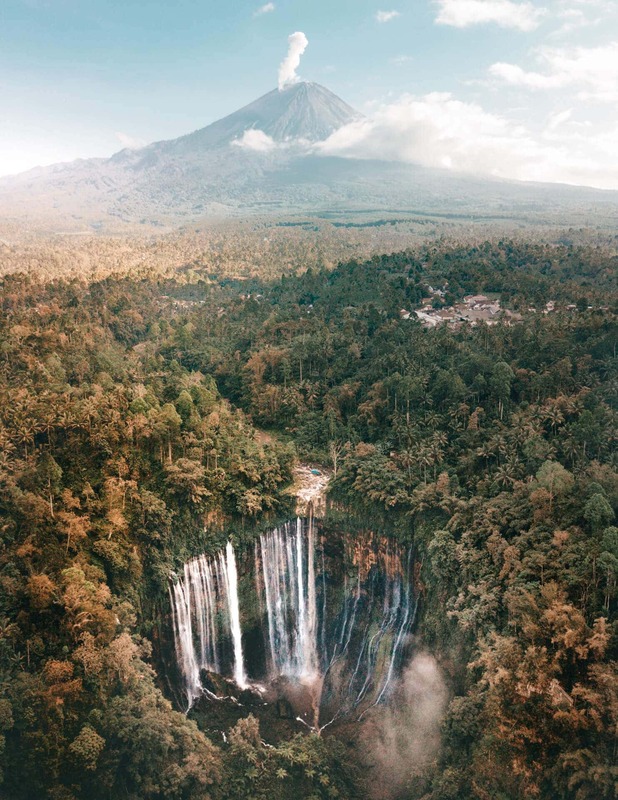 Spend two days exploring Malang, the colorful villages of Java, and most beautiful waterfall in Indonesia. 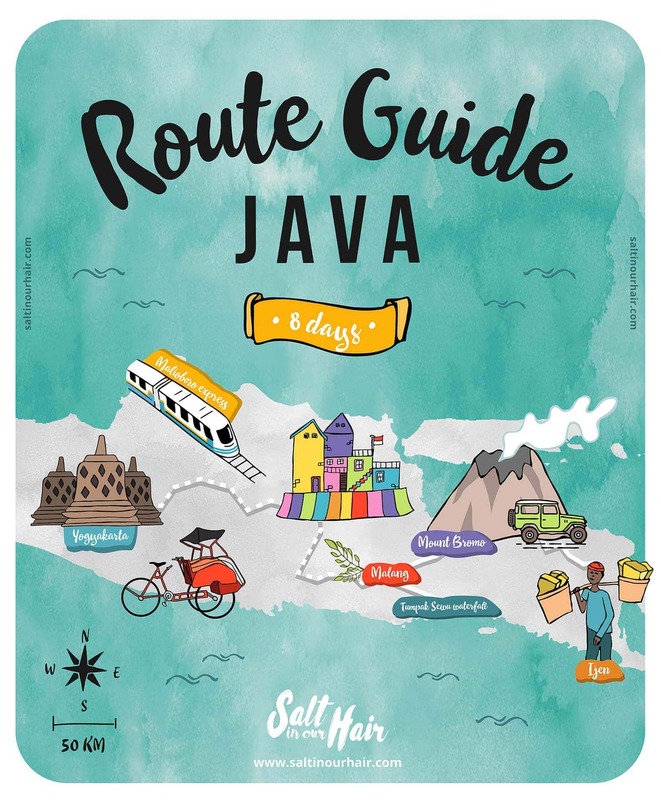 Malang absolutely has to be in this Java route guide. 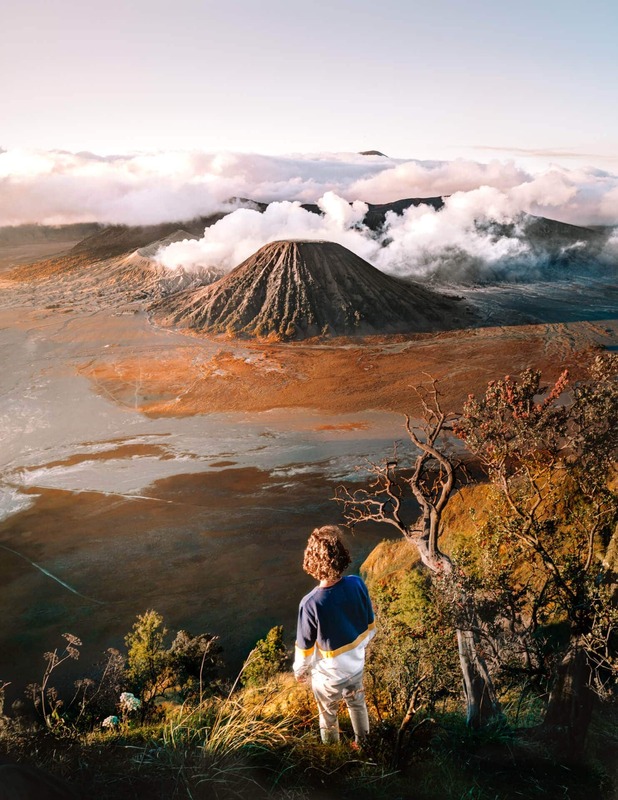 On your last day, make your way to Bromo to experience sunrise on the next morning. Don’t forget to stop at Coban Pelangi on the way to Bromo. Every Java Route has to include watching the sunrise on Mount. Bromo. Get out early and driver with a jeep up to one of the many viewpoints, explore the sea of sand and get a look inside the Bromo Crater. That same day travel to a town near the Ijen Crater. 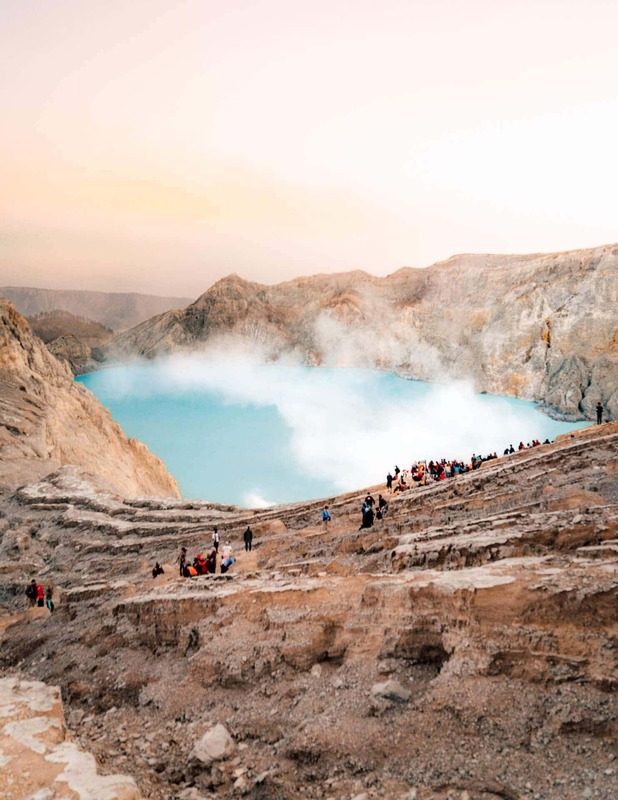 We recommend visiting Bromo and Ijen via a 2-day tour. 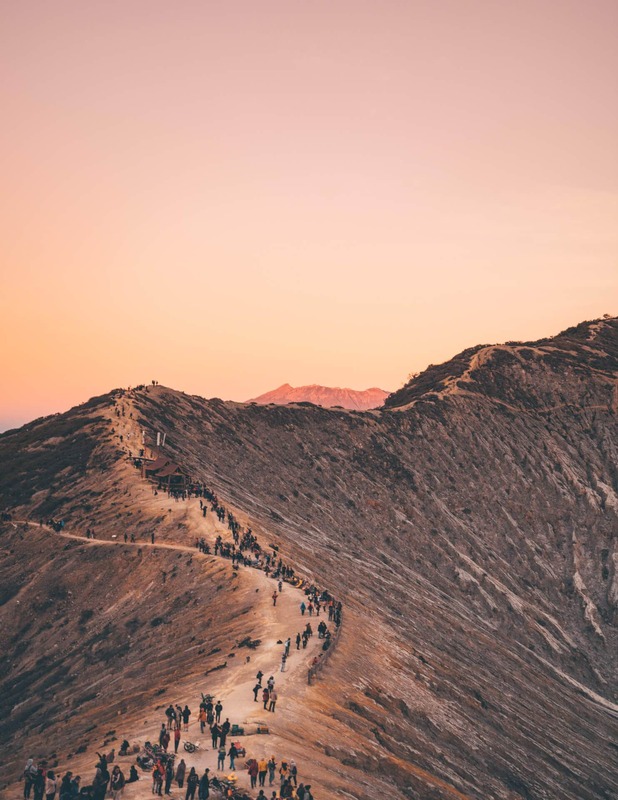 The Ijen crater is a mine for Sulfur miners who are walking up and down (1.5-hours each) the crater 3 times a day with 50 KG Sulfur on their shoulders. Watching the ‘blue fire’ and sunset is a popular activity. To see the blue fire, you have to start hiking up at 2 AM. This is definitely the hardest hike of the Java route guide. 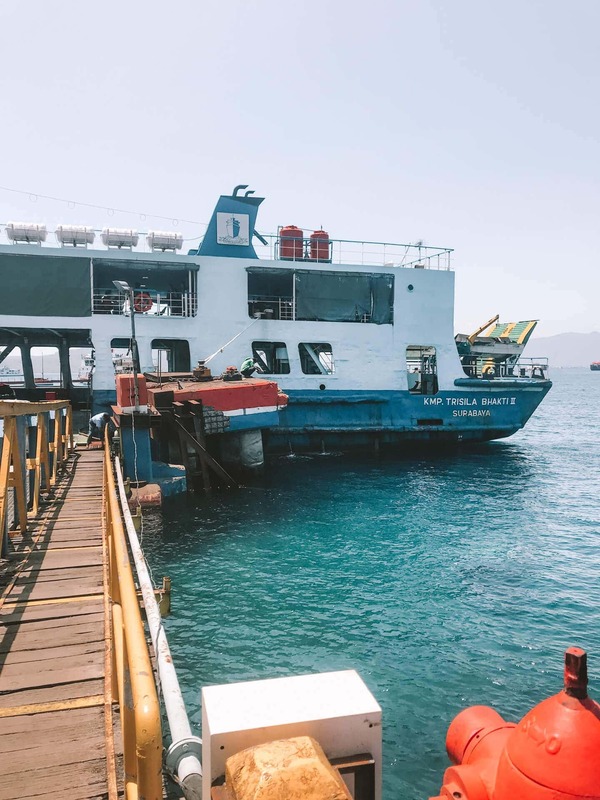 After this experience, have a breakfast at the base camp and catch the ferry to Bali. Java is best to visit between April and November. Don’t get fooled by the average of 28 degrees. When visiting Bromo and Ijen it will be 0-10 degrees so you will need a few layers. Keep in mind that in the hot season (May – September) the rice fields might be changed to tobacco and waterfalls will be less active. The tastes in Java are just fantastic. 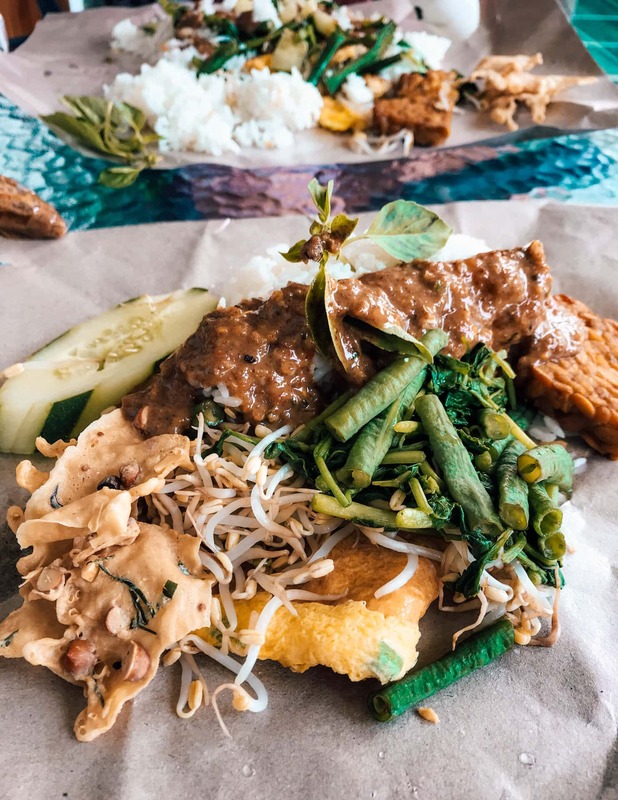 Expect to have a large selection of delicious Indonesian food and in the bigger cities, there are restaurants available with western style food. Telkomsel and XL Axiata are the providers with the best reach throughout the whole island. 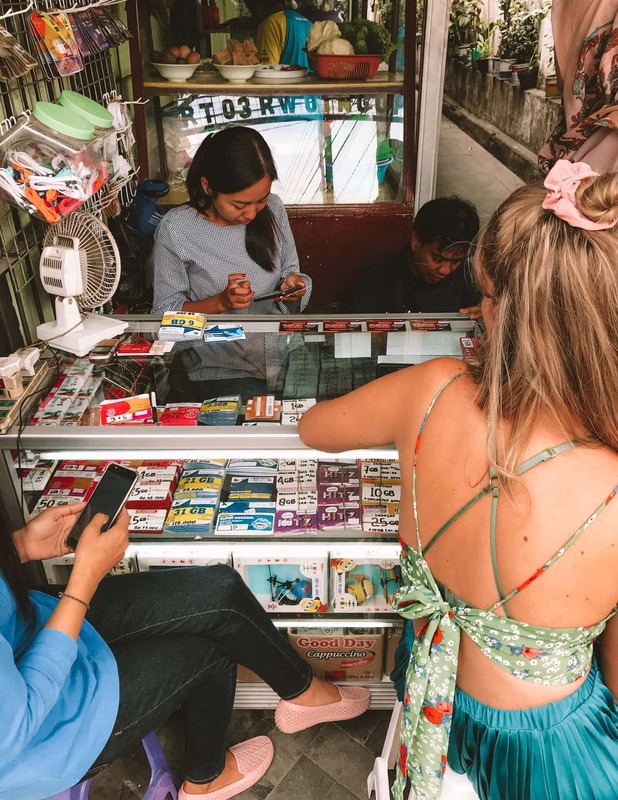 Some providers don’t work outside the city you bought your sim card or don’t work at Bromo or Ijen. XL worked everywhere for us, had a good connection and paid 30000 IDR (2 USD) for 6 GB of data.